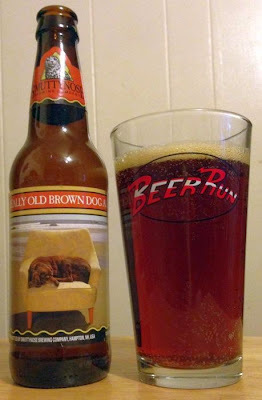 I have come to really like Smuttynose Old Brown Dog Ale, and I've been curious to try the brewery's Really Old Brown Dog Ale. I finally had a chance, and was surprised that it isn't just a barrel aged version of Old Brown Dog. Old Brown Dog is a brown ale, where as Really Old Brown Dog is a different style, it's an "old ale," and it's closer to barley wine than it is to a traditional brown ale. This beer pours a clear but very dark copper color with very little head. The aroma is boozy, with molasses, oak, brown sugar, walnuts. The flavor is really big and even boozier than the aroma. Figs, some maple, more oak, vanilla, and a little bit of a cough syrup like finish. The body is sticky like barley wine, but thin like liquor. Old Brown Dog, the brown ale, is complex but refreshing. Really Old Brown Dog one isn't quite the thirst quencher, but it's serious beer. Hoppy Lager is the latest outstanding product to emerge from Sierra Nevada's Beer Camp. It pours a bright, clear lemon color with a thin head. The aroma is strong hops, citrus, and a sweet, buttery malt. There are notes like popcorn and pears in the aroma. The flavor is primarily the hops up front, but this beer is well balanced. The rich malt is huge on the back of the tongue. I’d buy this year round if they made it available. 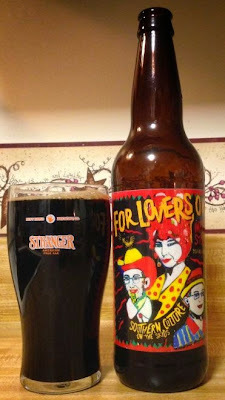 Parkway Brewing's For Lovers Only is an imperial stout that's named in honor of legendary rockabilly band Southern Culture On The Skids. It pours black with maroon highlights around the edges of the glass. There isn’t a lot of tan head, but the lace hangs on. I picked up on chocolate in the aroma, but mostly coffee and caramel and a little hint of grapefruit. The flavor is rich and strong. It’s warm on the front of the tongue, with walnuts and chocolate malt in big notes, and then a little twang on the swallow. I’m gonna have a few more of these before they’re gone. I liked it a lot. 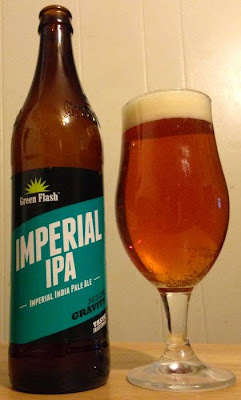 Green Flash is one of my favorite breweries, and they're especially good at big hops. Their Imperial IPA deserves to be mentioned in the same breath as their other exceptional beers, such as Palate Wrecker and Hop Head Red. This is a very bitter, very juicy, strong IPA. It pours a full, rich, orange-gold color, with a medium, creamy head and average lace. The aroma is citrus, candied pineapple, grass, buttery malt... this is what west coast double IPAs smell like when they smell really good. The flavor is strong and tangy up front, and on the swallow there is a very bitter flood of hops. As hoppy as this is, I’d still call it well balanced because of how different the front end is from the back. Damn, what a good beer. Green Flash is a brewery that can sell me anything at least once, because when they're good, they're great. This beer is great. 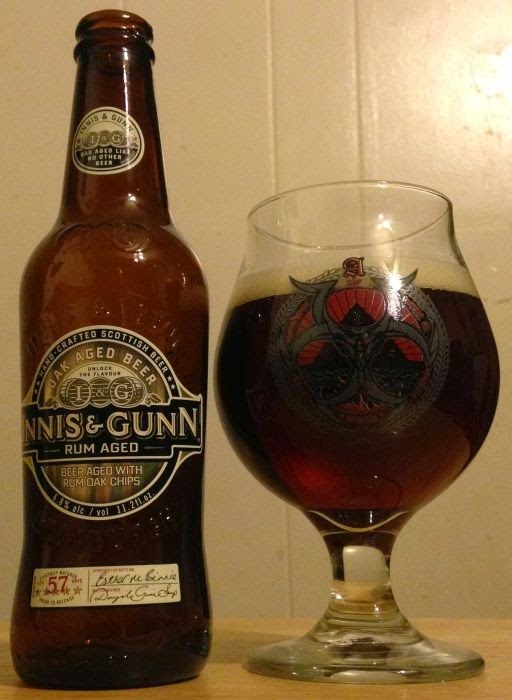 Innis & Gunn Oak Aged Beer, aged wdith rum cask chips, is dark brown with a head that fades to a rim ring. This beer smells great, like rum, spice, molasses, raisins, all kinds of rich dessert notes. The flavor is really good; it has all of that sweet stuff from the aroma, but it’s subtler than I thought it was going to be. It doesn't wear out it's welcome, there's a warm malt I did not get tired of. The finish is crisp. I really like this beer. 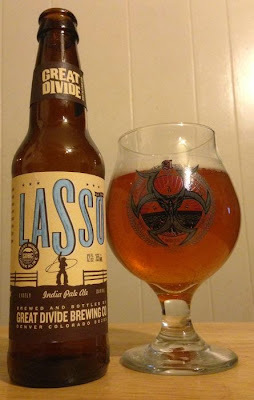 As session IPA's go, Great Divide's Lasso is alright. But, as Great Divide beers go, it's not much to talk about. It pours a hazy gold color, the head is thin, there's no real lace. 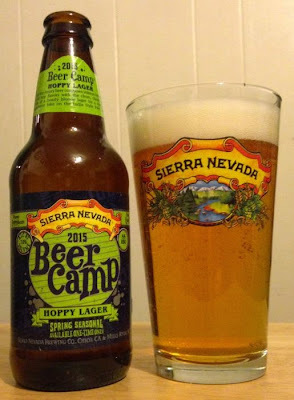 The hops in the aroma are subdued, but a little bigger in the flavor. On the front of the tongue there is some strong west coast hop character, but the finish is watery. What's worse, there is a sulfuric aftertaste that never goes away. Just about everything else I've had from this brewery has been better than this. Their stouts in particular are wonderful. Skip this beer.